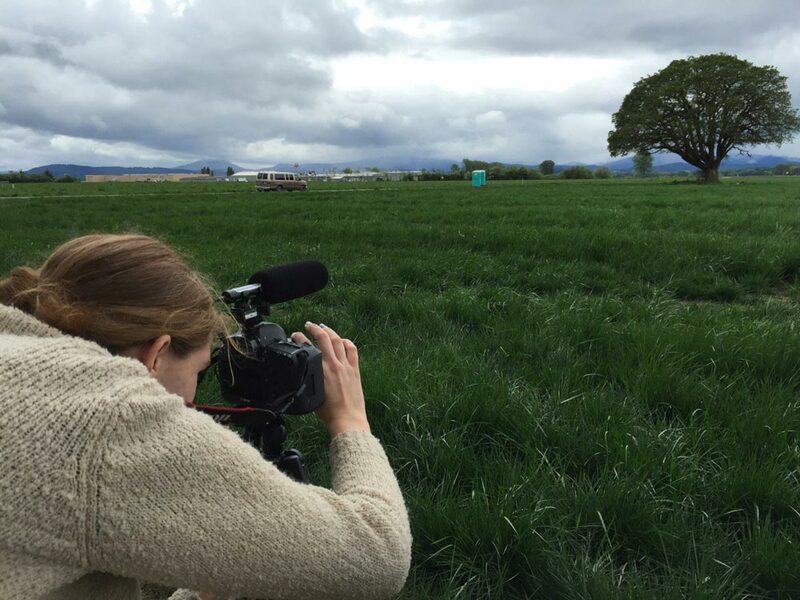 University of Oregon student videographer Michaela Giunchigliani shoots video for OR Magazine. Photo by Erin Hampton, courtesy of OR Magazine. Hundreds of news organizations nationwide practice solutions journalism: rigorous reporting that covers what’s missing in much of today’s news. Instead of stopping coverage after a crisis, or continually reporting on flawed systems, journalists are reporting not just on what’s broken, but on what’s being done to fix it. They dig deeper, chronicling whether and how people around the world are responding to problems--and the resulting effects. The results are heartening. Newsrooms that are integrating solutions reporting into their coverage are engaging audiences, increasing their impact, building trust, and strengthening relationships with their communities. Solutions reporting is a skill that newsrooms increasingly demand, and it’s a skill more and more journalism schools are teaching. If you are a journalism school professor interested in introducing solutions journalism to your students, this toolkit provides the materials you need. Crafted by J-school professors who have pioneered the teaching of solutions journalism, it includes the essentials, whether you’re developing an entire course or a module to incorporate into an existing class. In "The Essentials of Teaching Solutions Journalism," we cover the key concepts you’ll want to include in any solutions journalism course, as well as a range of options for lectures, discussions, class exercises, and homework assignments. J-school professors who have taught solutions journalism courses and modules worked together to choose these key concepts, organized into five sections and enriched with supporting materials and teaching ideas. This section also provides an in-depth approach for a standalone course that supports the development in your students of both a deep understanding of solutions journalism and how to practice it. The sections described here can be abridged and incorporated as a module in other journalism courses. In Chapter III, "Teaching Solutions Journalism as a Module," we lay out two examples of how to do just that: create a solutions journalism module to fit within a larger course. Chapter IV, "Customized Approaches to Teaching Solutions Journalism," provides a sampling of the many ways the teaching of solutions journalism has been adapted to accommodate different learning environments and objectives. By the time you get to the Resources in Chapter V, you’ll no doubt have some questions, which the FAQ you’ll find here attempts to answer (if you have questions that aren’t answered here, please let us know!). And finally, you’ll find links to all of the resources mentioned throughout the toolkit, including sample syllabi and lecture presentations, as well as additional supporting materials you might find useful in teaching solutions journalism. This toolkit is an evolving resource that very much depends on the wisdom of solutions journalism educators at every stage along the path of developing and implementing a successful curriculum. As you move ahead with your own approach, we invite you to join our growing community and share your experiences. The more we share what we’re learning, the better this resource will become for everyone teaching solutions journalism, and for the students who are practicing it. Our Medium-based blog has an entire section for JSchool professors - check it out for additional resources.